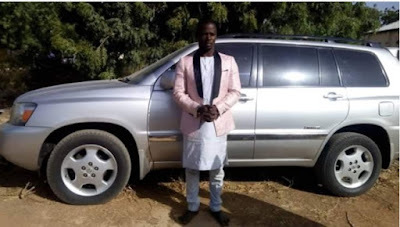 The Katsina State Police command has confirmed the arrest of a suspected car snatcher, Mohammed Sani, 28, in possession of a silver color Toyota Highlander, while trying to cross into Niger Republic last Monday. Sani, a resident of Akwanga local government area of Nasarawa State was reportedly nabbed at about 8.30am with the support of a good Samaritan. The police public relations officer in the state, Superintendent Isah Gambo, confirmed this in a statement Katsina. According to the statement, “In the course of an investigation, the suspect confessed to have robbed the said vehicle with others at large at gunpoint in Jos, Plateau State. An investigation is on-going,” the police said.